There's an interesting geographical trend developing in the U.S. retirement market, as the gap widens between the best states to retire on a fixed income and the worst states to do the same. We'll get to those "best states" in a moment, but the reasons why the retirement-by-state gap exists in the first place are important ones, like the cost of living, the tax impact, and the prospects of owning a home or renting one. 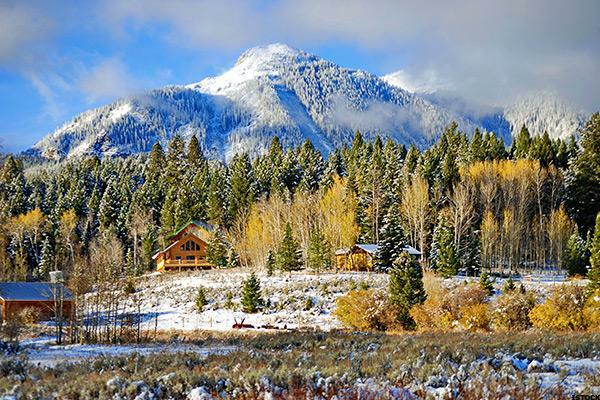 Which U.S. states rule the roost when it comes to the best places to retire on a fixed income? The fact is, those key issues listed above frame the narrative, and explain why states like Alabama are a great place to retire, income-wise, and why high-tax, high-cost of living states like California and New York are at the bottom of the list. While Alabama does impose a state tax that caps off at 5%, the state is a very inexpensive place to live. The average cost of living ranks Alabama number nine in all 50 states (at 13% below the U.S. national average. ), while median income stands at $24,000. Consequently, even a retirement income of $48,000 goes a long way in the Heart of Dixie state, where the cost of golf, dining, taxes, housing and even medical care are among the lowest in the nation. 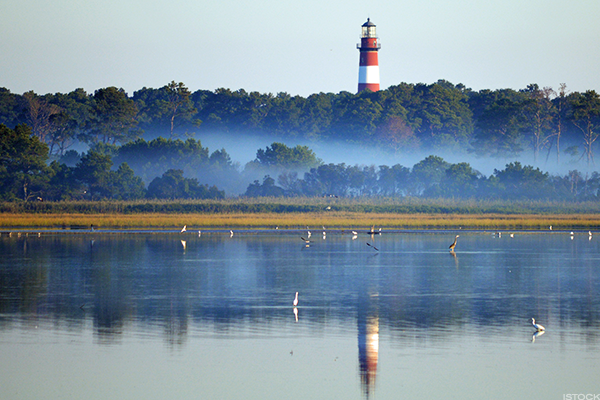 The state also offers 60 miles of pristine beaches and coastline, and offers unique living benefits to U.S. armed forces veterans. Best city/town to retire: Look to Decatur, which offers all of the above financial amenities, plus easy access via Huntsville International Airport. For lifestyle benefits, count on parks and open spaces like Malone Park, Morgan Lake Park, Decatur Day Use Park, Point Mallard Park, Rhodes Ferry Park, and Delano Park, as well as Wheeler National Wildlife Refuge. 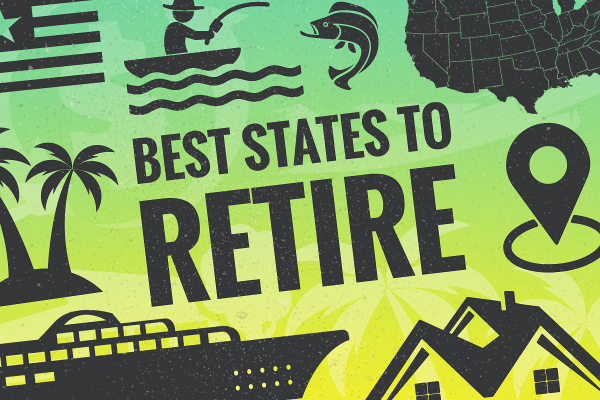 Florida also ranks high on the list of best U.S. states to retire to on a fixed income. The cost of living is reasonable, at just 1% over the U.S. average, and with no state tax, Florida is as tax-friendly as one state can get. 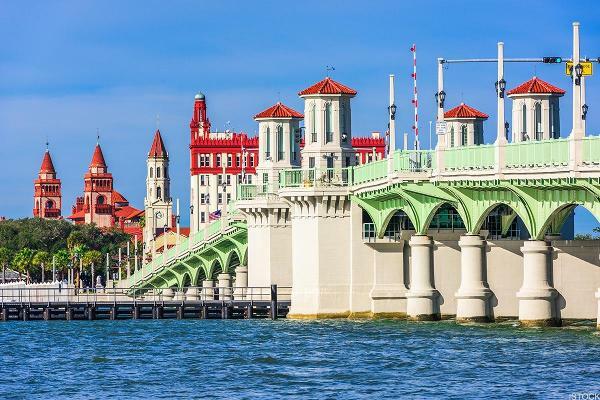 Living options abound, as Florida offers something for everyone - the wide beautiful beaches of Daytona Beach, the theme parks and lifestyle amenities of Orlando, or the southern charm of a college town like Tallahassee, for starters. Best city/town to retire: Try Naples, which annually ranks as one of the best places to live not just in Florida, but in the entire U.S. 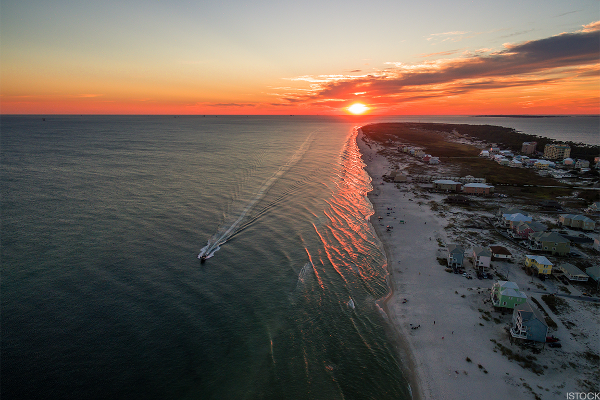 The gulf waters are calm and beautiful, the sunsets are spectacular, and there are more golf courses in Naples than you can shake a nine-iron at. The Peanut State has a median income of just $26,000, and its cost of living stands at 15th among all U.S. states (7% below the national average). Both of those figures suggest another mild weather, seaside Southern state where a dollar goes a long way and where housing health care, and recreation costs are highly affordable for retirees on a fixed income. Best city/town to retire: Aim for Savannah, a coastal city that lags no other in the entire U.S. With a charming downtown district and a hallmark antebellum history, Savannah is among the largest National Historic Landmark Districts in the U.S. Yes, Hawaii grades out just about perfectly for scenery, great beaches, and the best tropical climate in the U.S. But the Aloha State is a haven for retirees, too. Consider the state's low average health care costs which are 11% below the national average. Yes, you'll need a decent income to retire to Hawaii (the state's average cost of living is 87% ahead of the national average), but the sunsets are mind-blowing, the wildlife is abundant, and hopping to and from the Hawaiian islands is both easy and fun for casual-minded retirees. 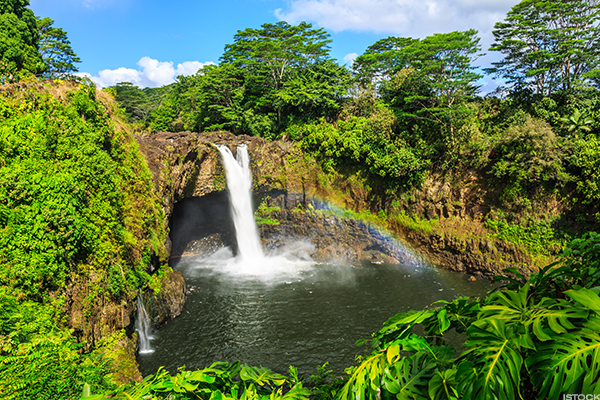 Best city/island to retire: Hilo, on Hawaii's Big Island, is relatively affordable compared to neighboring Oahu and Maui. The town is a mecca for astronomers, thanks to its crystal-clear, starry nights, and offers 150 miles of hiking trails in nearby Hawaii Volcano National Park. The Potato State boasts a healthy cost of living for retirees that's 5% below the national average, and has an average annual income of just over $40,000. Health care costs are relatively low, and physical fitness is an Idaho staple, with 30 state parks, including a portion of Yellowstone National Park. 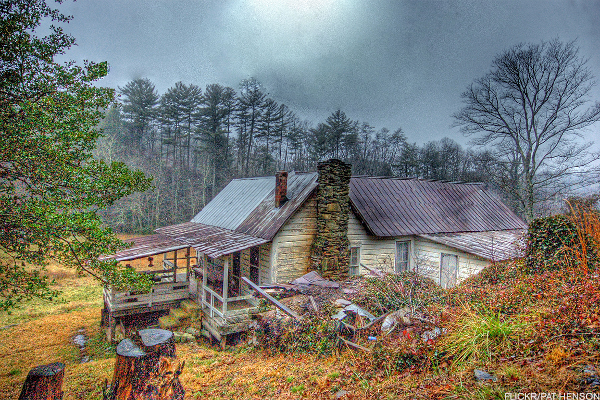 Housing is inexpensive, with the average home costing $176,000 less than the national average. Best city/town to retire: Boise is bigger than you may think - it's the third-largest metropolitan area in the U.S. Northwest, behind Seattle and Portland. It's known for its abundant street-side cafes and restaurants that give Boise a Paris-like vibe. Housing in Boise is affordable, at $262,000, on average. 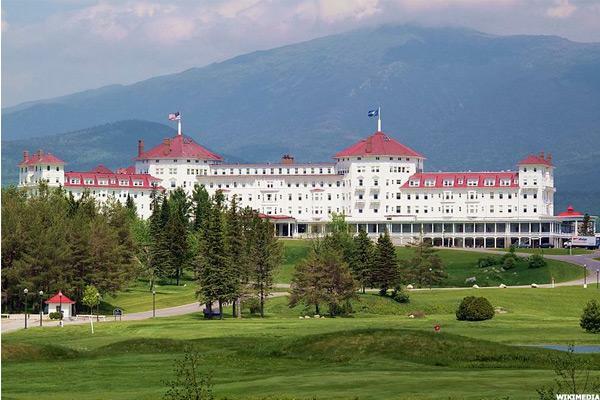 New Hampshire offers the best of both worlds for retirees, with its beautiful mountain ranges (and awesome autumn foliage), ample opportunities to ski and hike, along with some of the best cost of living ranges (18% above the national average) in the otherwise pricey U.S. Northeast. Boston is only an hour south, so a trip to see the Red Sox or walk Harvard Yard is easy-peasy, making New Hampshire an ideal landing spot for retirees who love the New England lifestyle, but at affordable prices. For example, the state offers the seventh-lowest tax burden in the U.S.
Best city/town to retire: Head for Durham, home to the University of New Hampshire and adjacent to the scenic coastal city of Portsmouth. It's also inside an hour away from Boston. Up in North Dakota, retirees enjoy both low health care costs and a low cost of living (just 1% over the national average.) Better yet, state income taxes are a bargain, with rates ranging from just 1.1% to 2.9% for North Dakota residents. A booming oil industry has kept taxes down, and the median home cost is just over $100,000, making North Dakota affordable across the board for retirees. Recreation-wise, North Dakota is a sporting paradise, with plenty of opportunities for hunting and fishing. If you have a frontier mindset, and want to save money, North Dakota is for you. Best city/town to retire: Try Bismarck, North Dakota's state capital. With a low (2.5%) unemployment rate and a thriving retail district, Bismarck's local economy is stable, guaranteeing plenty of amenities and benefits for retirees making Bismarck their home. 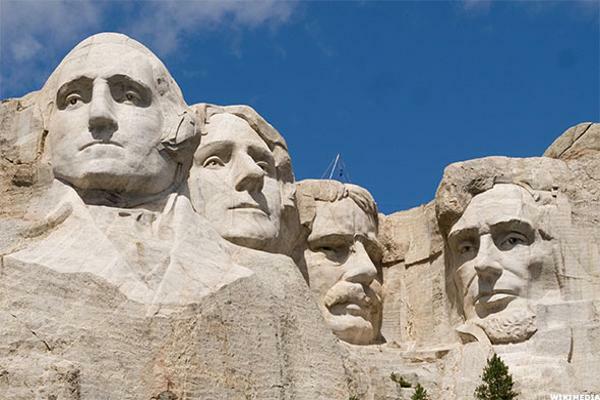 South Dakota has a great cost of living, 4% under the national average, and with an average income of $43,000 - the state is an agreeable one for retirees with even a modest annual income. South Dakota also offers a 0% tax rate on retiree income, and doesn't apply inheritance taxes to residents. 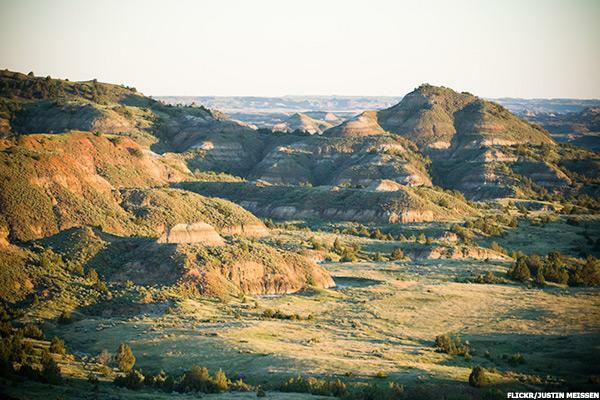 Like North Dakota, the Rushmore State offers plenty of hiking, hunting, fishing, and other outdoor activities for retirees who thrive on fresh, clean air, and plenty of open spaces. Best city/town to retire: Consider Rapid City, home to South Dakota State University, and a major health care services sector, with both Avera Health and Sanford Health having established major presences in the area. Rapid City offers great scenery, plenty of chances to hike, fish and hunt, and is close to another beautiful state, Wyoming. With a cost of living that's 12% below the national average and no state income tax, Tennessee is an attractive proposition for budget-minded retirees. Every major city in the Volunteer State offers retirees tax-friendly cost of living in key areas like health care, taxes, housing, and income levels, making Tennessee one of the best deals, financially, for retirees. 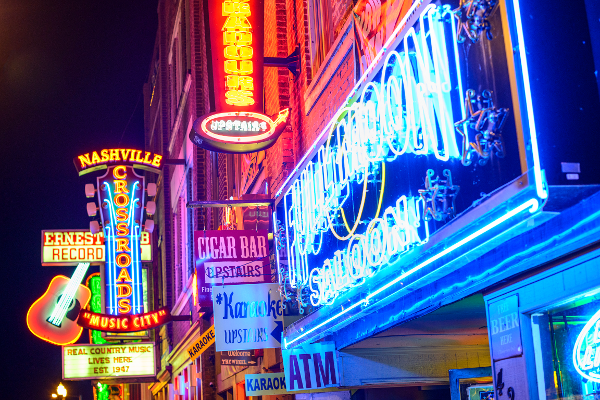 Best city/town to retire: Tune up in Nashville, the home of the Grand Ole Opry and the Country Music Hall of Fame, and enjoy some great barbecue while you're catching a live performance in what many call the music capital of the U.S.
One of the largest states in the U.S., Utah has plenty of room for retirees looking for open spaces, beautiful mountain ranges and crystal clear rivers and lakes. Cost of living is low, at 4% ahead of the U.S. average, and Utah also ranks second in the U.S. in terms of overall health for state retirees over the age of 65. 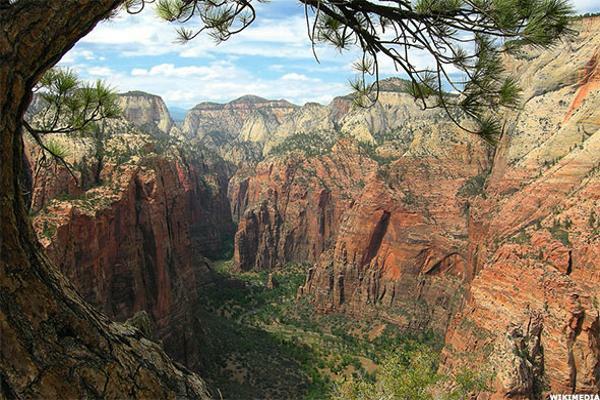 The state also has five national parks, including Zion, one of the most gorgeous parcels of land in the U.S.
Best city/town to retire: Try Provo, located 45 miles from Salt Lake City, adjacent to the Wasatch Mountains. Provo is also home to Brigham Young University, and is regularly cited as one of the best college towns in the U.S. That gives retirees who live there a younger vibe, with plenty to do, both indoors and outdoors, in one of most scenic cities in the U.S. Retirees who make Virginia home typically do well financially, with many federal government workers deciding to stay put in the state, and who put their disposable income to good use. Virginia's cost of living is 11% above the national average, but health care costs are surprisingly low: 3.4% less than the national average. Social Security payouts aren't taxed, either, giving Virginia retirees even more income to enjoy their time in the Old Dominion state, with the scenic Blue Ridge Mountains to the west and Atlantic Ocean beaches to the east. Best city/town to retire: Falls Church, Virginia is a good landing spot for retirees who love golf, and want to pay less to live in one of the area's 55 retirement communities. Washington, D.C isn't far away, and you can easily either own or rent in Falls Church for less than $1,500 monthly.